Soon, my friends… after these cold days I feel it’s gonna be hot: Speaking of OPEN AIR SEASON! 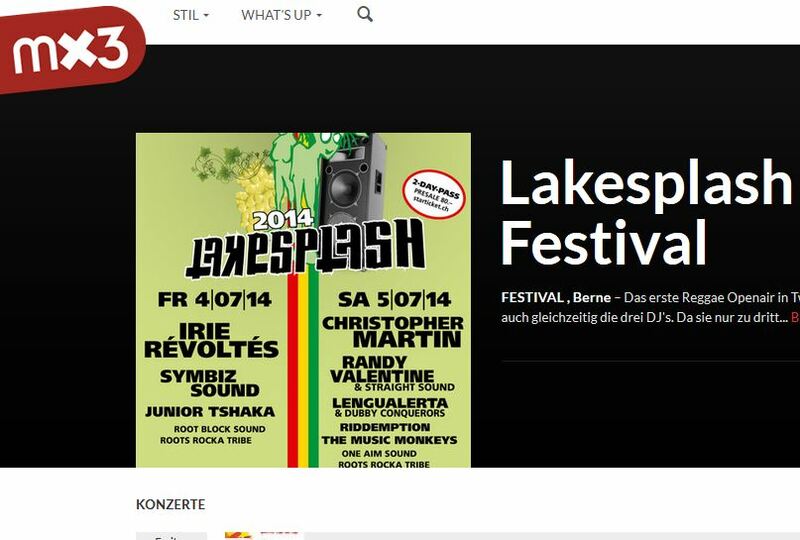 LAKESPLASH Reggae-Festival (July 4/5) next to the Bieler Lake has an excellent LineUp, whith chilled sound or energetic music that will make you dance, all that in an incredible ambience, c’est exceptionnel! Why not start increasing the anticipation right now, by browsing through the music? Here is the link to the Mx3-Profile of the Festival. Check it out! Cooh deh! Big up on that Line-Up!